Gamma radiation shield: These are forms of electromagnetic shield radiation that occur with higher energy levels than those displayed by ultraviolet or visible light. Gamma radiation is the product of radioactive atoms. Depending upon the ratio of neutrons to protons within its nucleus, an isotope of a particular element may be stable or unstable. When the binding energy is not strong enough to hold the nucleus of an atom together, the atom is said to be unstable. Atoms with unstable nuclei are constantly changing as a result of the imbalance of energy within the nucleus. Over time, the nuclei of unstable isotopes spontaneously disintegrate, or transform, in a process known as radioactive decay. Various types of Gamma radiation shield may be emitted from the nucleus and/or its surrounding electrons. Nuclides which undergo radioactive decay are called radionuclides. Any material which contains measurable amounts of one or more radionuclides is a radioactive material. Gamma shielding is better absorbed by materials with high atomic numbers and high density, such as tungsten alloy gamma shielding. Although neither effect is important compared to the total mass per area in the path of the gamma radiation. For this reason, lead shield is only modestly better (20–30% better) as tungsten alloy gamma shielding, than an equal mass of another shielding material such as aluminium, concrete, water or soil, lead's major advantage is not in lower weight, but rather its compactness due to its higher density. 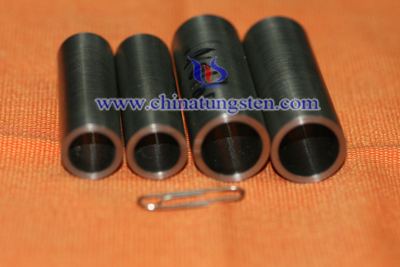 Therefore, tungsten alloy material is better in its high density,good radiation absorption, etc. Tungsten radiation shield including radiation shield container,radiation shield rod and radiation shield parts. Please do not hesitate to contact us if you have any question about tungsten gamma radiation shield or gamma radiation shield. 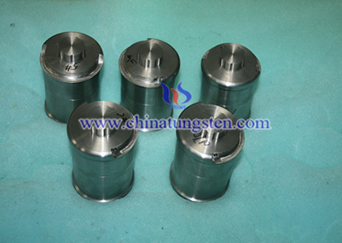 Our e-mail address is sales@chinatungsten.com sales@xiamentungsten.com. Or you can call us on 0086 592 5129696.